Congratulations to Bernie Morgan who has been awarded the Interim Certificate of the ASC. The interim certificate means that Bernie has passed 5 speaking assignments and has demonstrated proficiency in speech construction, gestures and the use of voice. Bernie now has a new goal of achieving the next five assignment which if successfully completed will be awarded the ASC certificate of achievement. 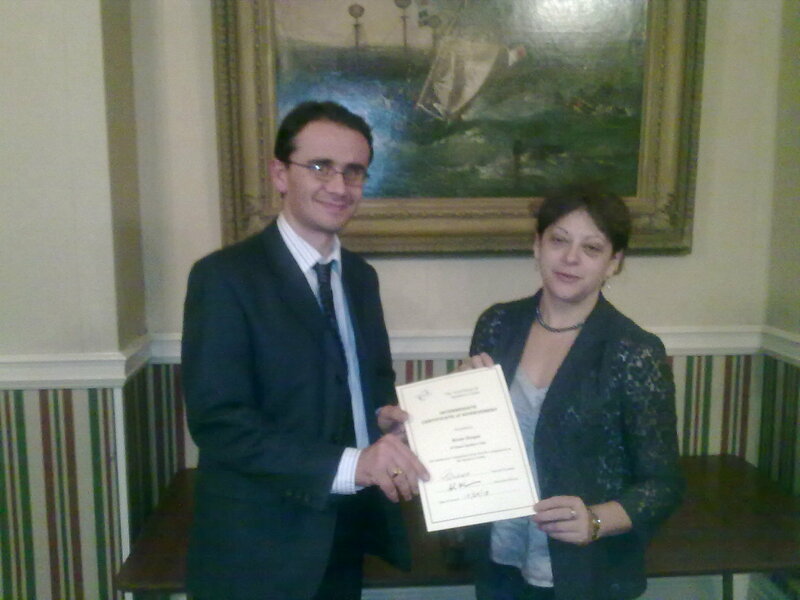 The picture shows Bernie receiving her interim certificate from Thanet Speakers Club Education Director, Andrew Thomson. This entry was posted in News and tagged 5 speaking assignments, Andrew Thomson, Interim Certificate of the ASC, Thanet Speakers Club Education Director on October 22, 2010 by admin.